Located in the heart of Historic Laurel Park this 2 story Dutch Colonial home is one of the most dramatic residences in the neighborhood. 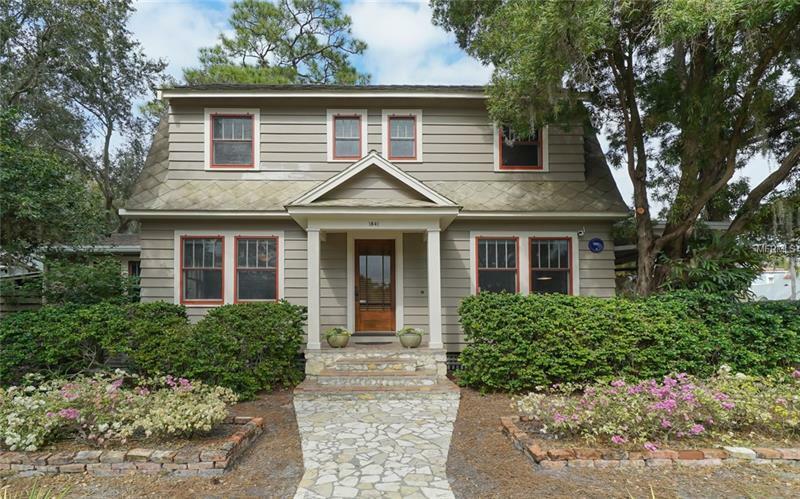 Originally built in the 1920s this home was relocated to its present location in 1933 by Judge John Early. The home maintains many of the classic features of Traditional architecture but has been updated to meet the needs of a discriminating buyer. The home is situated on an oversized lot (7500 square feet) allowing for privacy and a feeling of openness. There is room for a pool and a carport. Old Chicago Brick fill the driveway and lead to a private entertaining area where you and your guests can enjoy all that this home has to offer. As you enter the Early House through one of 3 entrances you will love the high ceilings and original pine flooring large stone fireplace made with limestone the oversized screened porch with terrazzo flooring and wood paneled ceiling gourmet kitchen with cherry cabinets mud room off the kitchen with original beaded paneling original door knobs that have been restored and other features that give this home so much character. There is also a large family room on the first floor that could easily be used as a 4th bedroom or office. The original home had 4 bedrooms upstairs and one bathroom but has been updated to include a master en-suite and 2 bedrooms with a hall bathroom in addition to the walk-in closets and extensive built-in cabinetry in the master bedroom.